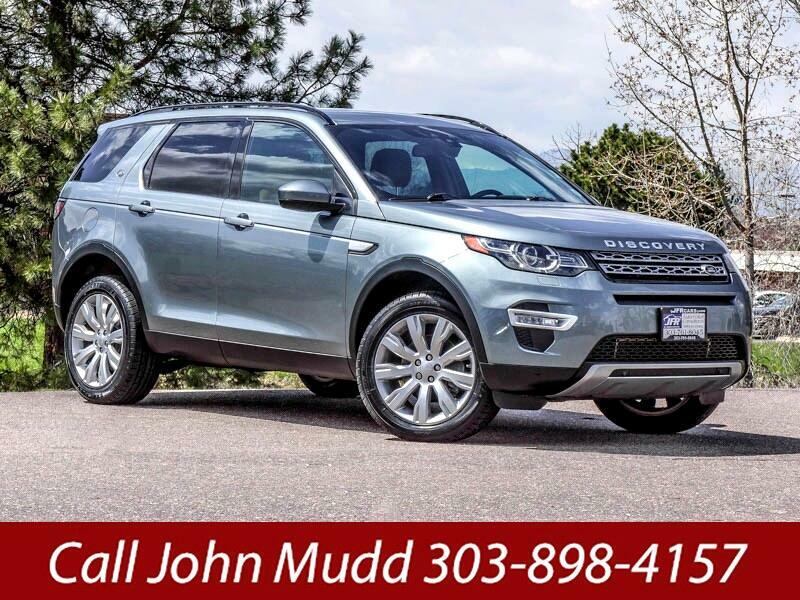 Used 2015 Land Rover Discovery Sport HSE LUX for Sale in Littleton CO 80120 JFR & Associates, Inc. This Land Rover Discovery Sport offers a go-anywhere attitude, comfort and style. You'll find this Discovery Sport is stable and easy to drive. The interior provides an attractive interior with high-quality materials that are designed to provide many years of excellent service. Controls and gauges are easy to read and intuitive. This Discovery Sport comes with a wide array of options like a backup camera, CD player, heated seats, backup sonar, memory seats, power tailgate, Satellite Radio, rear spoiler, remote ignition, navigation, sunroof, plus lots more to make your driving experience more enjoyable. You are cordially invited to take this stunning Discovery Sport for a test drive and discover for yourself why this SUV is so popular. Contact us today and schedule your test drive. Message: Thought you might be interested in this 2015 Land Rover Discovery Sport.